This 4th of July weekend had breathtakingly spectacular weather of candy blue skies, puffy white clouds, a dry, cool wind, and buckets of sunshine. 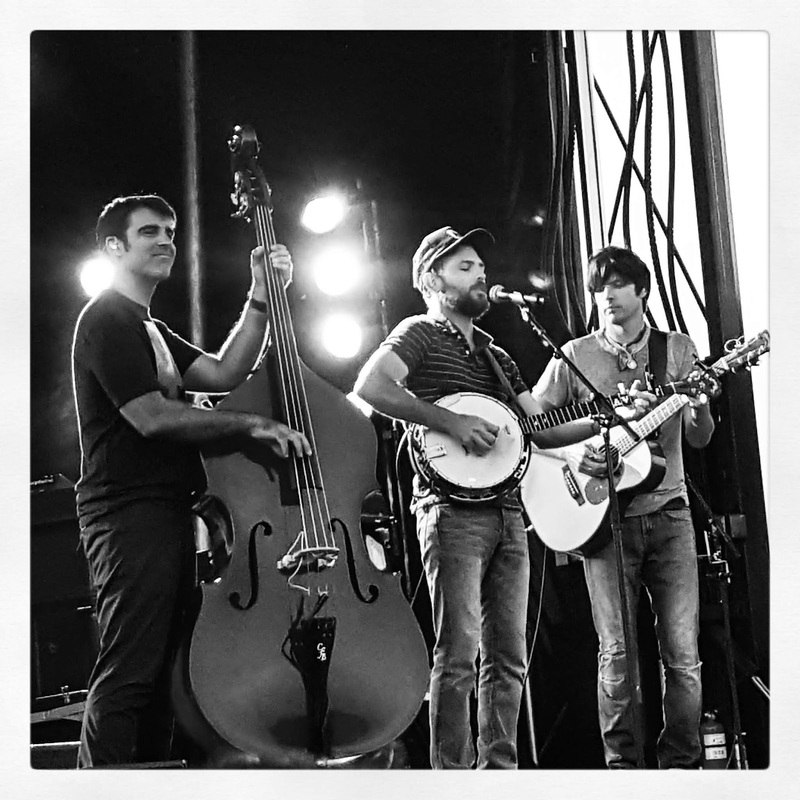 There was no better way to celebrate than with some A+ Americana in the form of The Ghost of Paul Revere and The Avett Brothers at a lovely outdoor venue on the Fore River in Portland, Maine. The environment was perfect and the crowd was so polite. The front of the herd filled up early with folks parking their groups on the grass near the stage and they were rewarded with a spunky set from Maine's own Ghost of Paul Revere, a big event for the local boys. They played some new songs and reported that they are going back to the studio to mix their new record with the hopes of releasing the new LP in early 2017. A wonderful treat was their cover of The Who's "Baba O'Riley" done in folky splendor, complete with mandolin and a great jam on those chugging power chords at the end. Their material was good and a consistent complement to the Avett Brothers' set; string heavy ballads featuring banjo and harmonica. Sunlight lit the stage for the first half of the Avett Brothers' set and they took the stage with kazoos for a playful beginning with "The D Bag Rag" and then tossed the kazoos out to the crowd. There was a lot of tossing, actually. Along with the kazoos, several guitar picks, crumpled up set lists, and even one of cellist Joe Kwon's bows were bestowed to eager fans. Despite The Avett's latest release, True Sadness, barely aging a week, many people in the crowd still sang along with "Ain't No Man," "Mama, I Don't Believe," "Satan Pulls The Strings," and the glowing version of "True Sadness" performed during the encore. 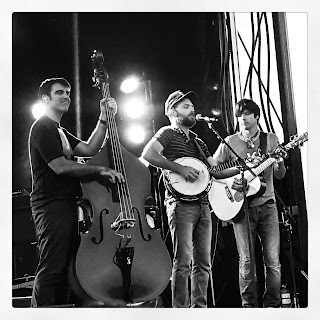 I've never seen an Avett Brothers show wane in energy, some songs might be more gentle, but they are still performed with the same loving energy as bigger stomp n'holler numbers like "Talk On Indolence." There were some apparent sound issues as Seth Avett ripped his ear piece out and forgot where he was in the lines to "Distraction #74" and others band members appeared to suffer similar head blasts from their ear pieces throughout the evening. The Avett Brother's band have fun up there, though. Violinist Tania Elizabeth managed to swipe a bandmate's hat, there were smiles all around, and many laughs exchanged on stage. The band played hard and in the end churned out 26 tunes, including their encore. The encore was a crown jewel in the night. Scott Avett performed a quiet, solo version of "Murder In The City" updating a lyric from "One person dead from such is plenty" to "One person dead from such is one too many"- notable in the wake of more public shootings. "Kick Drum Heart" was on the setlist for the encore but not performed and was barely missed in the splendor of the always wonderful "I and Love and You."